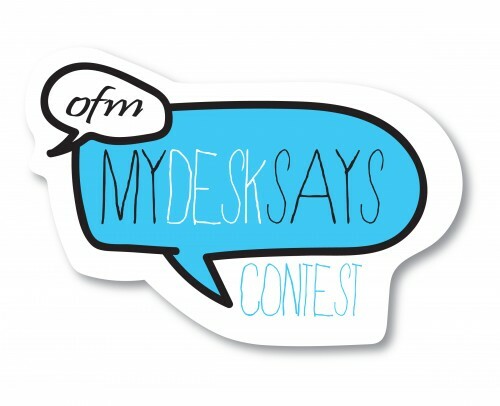 OFM, a leading office and school furniture manufacturer, distributor, and wholesaler, announced the winners of the “My Desk Says” social media contest. The contest asked office workers to share photos on Twitter of their desks along with the hashtag #MyDeskSays and a brief description of what their desk said about them and their work. Jan Repman of Etters, Pa., won the “Messiest Desk” award, while Philip Bock of Kohler, Wis., was the winner of the “Most Organized Desk”. Krista Bainbridge of Milwaukee won the “Catch-All Desk” award. The winners will all receive an OFM chair of their choice.